Is four years an acceptable lifespan for a $999 device like the Surface Pro? If you just bought a Surface Pro, get ready to upgrade by July 2017, because that's when Microsoft will drop support for the Windows 8 Pro tablet. Microsoft's support website reveals that the Surface Pro will be subject only to "mainstream" support, which will end halfway through 2017, PCWorld reported on Tuesday. That gives the Surface Pro a nearly four-and-a-half-year lifespan, matching last year's announcement that support for the Surface RT will expire in April 2017. Four and a half years may seem like a decent lifespan, but it could also be construed as an indication of how Microsoft sees the Surface tablets in regards to business customers. Microsoft's business-oriented products are usually granted an additional five years of support after mainstream support dries up, called the "extended" support phase. Neither Surface tablet gets that extended support, demonstrating that Microsoft apparently considers even the Surface Pro, with its full version of WIndows 8, more of a consumer-facing tablet. 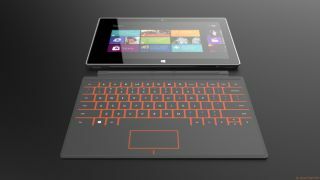 TechRadar considered at length whether the Surface Pro is right for business users, but now it seems like Microsoft has provided us with an answer. Microsoft is just following the lead of its competitors, though, and that four years plus of support seems downright generous in comparison with Apple, which ceased support for the original iPad just two years after its launch. The 2010 tablet was never updated to iOS 6. If Microsoft offers annual hardware iterations for the Surface, then customers will likely be itching to buy a new one by 2017 anyway. During the Surface RT and Surface Pro's mainstream support phases, Microsoft will offer hardware repairs (free under warranty), replacement parts and units, and telephone-based support for the Windows 8 tablets. Windows 8 itself will be supported for the full 10 years (five mainstream, five extended) of support, according to a support website FAQ. It states that "the software embedded in [the Surface device] is subject to the Microsoft software lifecycle support policy, as is any software that is installed or downloaded on that Surface device."